Have your critical thinking and deeply engaging learning activities left you feeling discouraged? Thankfully, it doesn’t have to be this way. 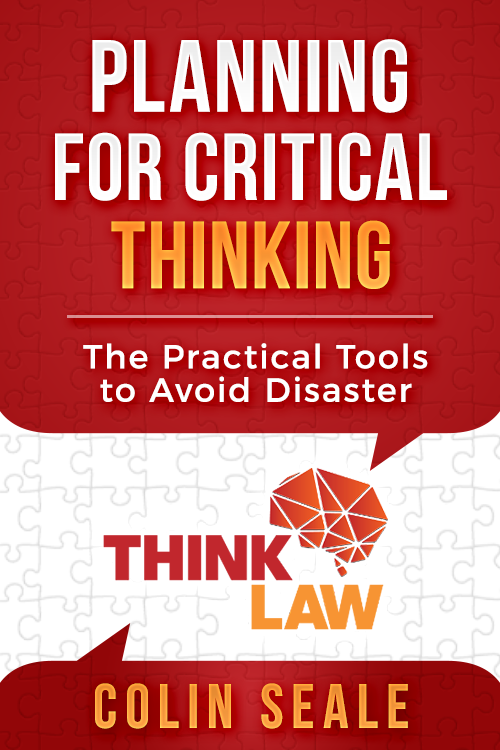 In this 1-hour course, “Planning for Critical Thinking – The Practical Tools to Avoid Disaster,” lawyer and educator Colin Seale shares practical tools you can use to avoid a critical thinking disaster in your classroom. Discover how to use SMART goals and check for understanding in every critical thinking lesson while nurturing higher order thinking in your students. Many times educators go big with critical thinking, higher order thinking, and deeply engaging learning activities that leave their students both working and thinking rigorously. However, when left unstructured and without proper direction, these activities and lessons can end in disaster and leave teachers discouraged. In this 1-hour course, “Planning for Critical Thinking – The Practical Tools to Avoid Disaster,” lawyer and educator Colin Seale will help you discover ways to ensure that the objectives you develop as an instructor are clear yet ambitious and how to know what the end product should look like when it comes to critical thinking. Colin Seale, Esq. is an education advocate and critical thinking expert who has merged his passion and experience for education, law, and social justice into thinkLaw, an award-winning program that helps educators teach critical thinking through standards-aligned, real-life legal cases and powerful and personalized professional development to help teachers implement engaging Socratic strategies across all grades and subject areas. Colin has been recognized as the 2016 Nevada Governor’s Conference Pitch Competition First Place & People’s Choice Winner, the 2016 Las Vegas National Bar Association Community Service Award Winner, and as a recipient of the ACLU of Nevada’s Community Juvenile Justice Award for thinkLaw’s work in ensuring that critical thinking is no longer a luxury good.